If there was one positive thing about the left foot neuroma that struck me four weeks ahead of this year's Wasatch Front 100, it was that I discovered the La Sportiva Wildcat (retail $100). I was looking for a new shoe that didn't anger the nerve in my foot, and while I would have settled for a pair of Tarahumara sandals if they offered some relief, I was very lucky that the first shoe that seemed to do the trick was also one with standout trail running qualities as well. This past year alone, I put a lot of miles in a number of different shoes: Roclite 320, Gel-Trail Sensor, Gel-Trail Attack, Cascadia 4, and even Hyperspeed 2 (on the track). And while I've really liked some of these shoes, the Wildcats seem to have taken all the good qualities of each, plus a couple extra of its own, and rolled them into one. First, they're extremely responsive and handle really well in tough conditions. They can tackle buffed out, fast descents as well as any Inov-8, and when things turn really technical with lose rocks or boulders, they do even better, owing to their really grippy soles born right out of La Sportiva's mountaineering heritage. And while they may not have quite as much ballistic rock protection on the sole as a shoe like the Gel-Trail Sensor, they still work well in craggy situations. Plus, they have a great toe bump that will save your toes late in a long race when you can't help but stub a rock here and there. But, these shoes aren't just technical workhorses, they also feel really good on, have very good cushioning that's just made for monster distances, and great ventilation that will keep your feet cool and blisters at bay on even the hottest of days. Of course, the shoe isn't perfect. Which shoe is? And some of the qualities that make the Wildcat so good can also cause some problems. The mesh upper that's responsible for the great ventilation also lets in a great deal of dust and dirt from an arid trail. And you won't want to make the standard Wildcat your winter running shoe. Slush, snow, and near-freezing water find their way through the mesh outer even easier than dust and dirt, which can turn what should have been a quick 8 mile run in a storm into a painful and slow slog. 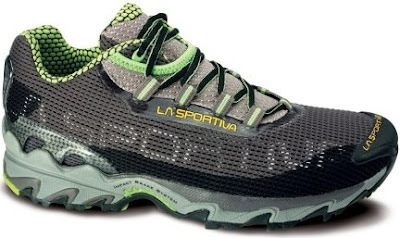 Luckily, La Sportiva thought of this and offers a Gore-Tex version, the Wildcat GTX (retail $125). Aside from this, the shoe has a couple other peccadilloes: the toe box is a little bit narrow for those with a wide forefoot, and the small lugs on the sole begin to flake off after about 200 miles. But, these are minor. In a previous review of the Brooks Cascadia 4, I said that the shoe was a let down because, while it did well on a number of points, it was a standout on none. After running in the Wildcats in a range of conditions, and over a range of distances, I've returned to these words and flipped them: While the Wildcats have a couple drawbacks, they're a standout on nearly all the points that really matter. Well said! My favs as well. Hope La Sportiva doesn't change this shoe for a while. Good review! I've tended to wear the Crosslites more, but really like the feel of the Wildcats on days when I need a little more protection. Love the breathability and fit. Interesting about your sole issue. I've got about 50hrs of running in mine and very minimal sole wear. Liked these shoes when I first got them, the cushioning especially, but I won't be getting another pair. Found that they broke down at a tender age, and the outer sole became worn and largely ineffective after no more than 300 miles. The Crosslites, however, are in a whole different realm. Can you provide some update and information on your ITB condition? Maybe write a separate blog post on the matter. Was it a clear or borderline diagnosis? How severe of a case is yours? What therapy are you doing? I believe it typically is an overuse injury. What timeline are you trying to follow for return to competition? Did your Wasatch effort contribute or agitate the ITB? Thanks for the extra 2 cents, all. I had the same experience with the lugs wearing off after only a couple of long runs. However I am really happy with them other than that. Looking forward to getting a pair with the Gore Tex uppers which will come in handy in the Pacific North West.